In some cases, the appearance of a metal product is just as, if not more important as its quality and durability. Architectural bar grating combines the functionality of standard bar grating with the additional element of remarkable aesthetic appeal. Architects, engineers and designers frequently make use of architectural bar grating in the structural design process for projects that require a striking visual component. Bar grating for architecture is used for a wide variety of industrial and commercial products including ornamental grilles, walkways, building facades, fencing, sunshades and more. Because of its ability to permit the passage of air, light, sound, liquid and heat, architectural specialty steel grating is also top choice for screening applications. These types of products can include storm water, trench floor and driveway drains. Additionally, architectural bar grating can serve as functional, attractive industrial flooring and decks in facilities such as chemical processing plants, petroleum refineries and food and beverage processing plants. We feature welded bar grating for architectural applications that offers the ultimate combination of strength, cost-efficiency and ease of installation. Here at Marco Specialty Steel, we make every effort to provide the best architectural bar grating products for customers in a wide range of industries. 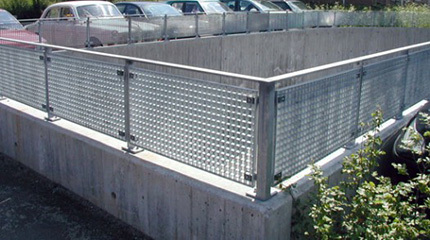 Our stock inventory includes an assortment of architectural specialty steel grating for just about any industrial or commercial application. Our standard carbon steel and stainless steel panels are available in your choice of a smooth or serrated surface. You can also select from a variety of sizes and finishes. All of our architectural bar grating products meet the high standards and specifications stipulated by the National Association of Architectural Metal Manufacturers. 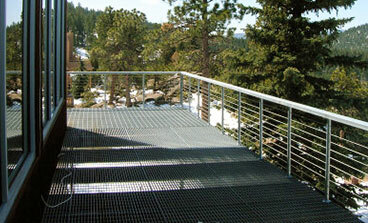 In addition to our huge selection of high-quality stock bar grating products, Marco Specialty Steel can provide custom architectural bar grating services to meet unique project requirements. Our 35,000-square-foot facility includes an in-house fabrication shop where we can cut and band bar grating featuring any type of angle or curve you desire. We can also cut panels at special lengths. We can work with your drawings to create custom cutouts, unique shapes or whatever else you may need. Why Do So Many Companies Choose Marco for Their Architectural Bar Grating Needs? Over the course of 25 years in business, Marco Specialty Steel has become one of the most trusted architectural bar grating suppliers in the metals industry. In addition to offering high-quality products and the ability for custom fabrication, we feature a solutions-oriented, customer-focused business approach. Understanding our customers’ needs to keep up with tight production schedules, we complete all projects as quickly as possible. We also pay attention to the smallest of details to ensure a successful project outcome. When it comes to bar grating for architecture, nobody does it better than Marco Specialty Steel. Contact us to learn more about our architectural metal products and services and to receive a no-obligation project quote today. Marco Specialty Steel: Quality. Speed. Reliability.